The perfect way to keep your little one’s presents safe before the 25th, this lovely hessian gift sack is a real festive delight. 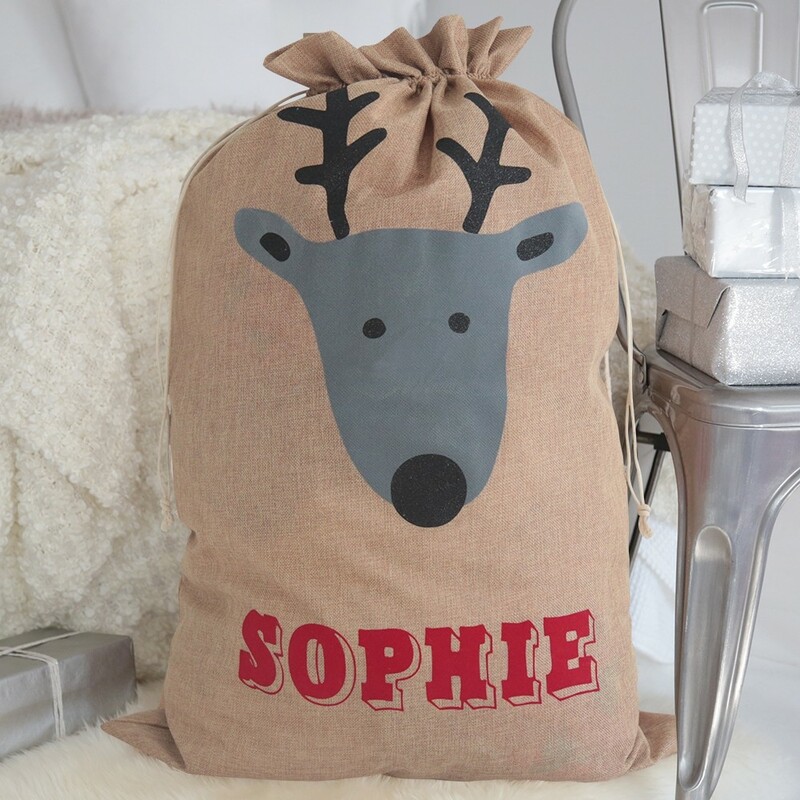 Printed with a friendly reindeer character and your choice of name this is a sack that’ll be used year after year. Large enough to fit even the most generous selection of gifts, easily carried with drawstring ties and can be folded small for storing. 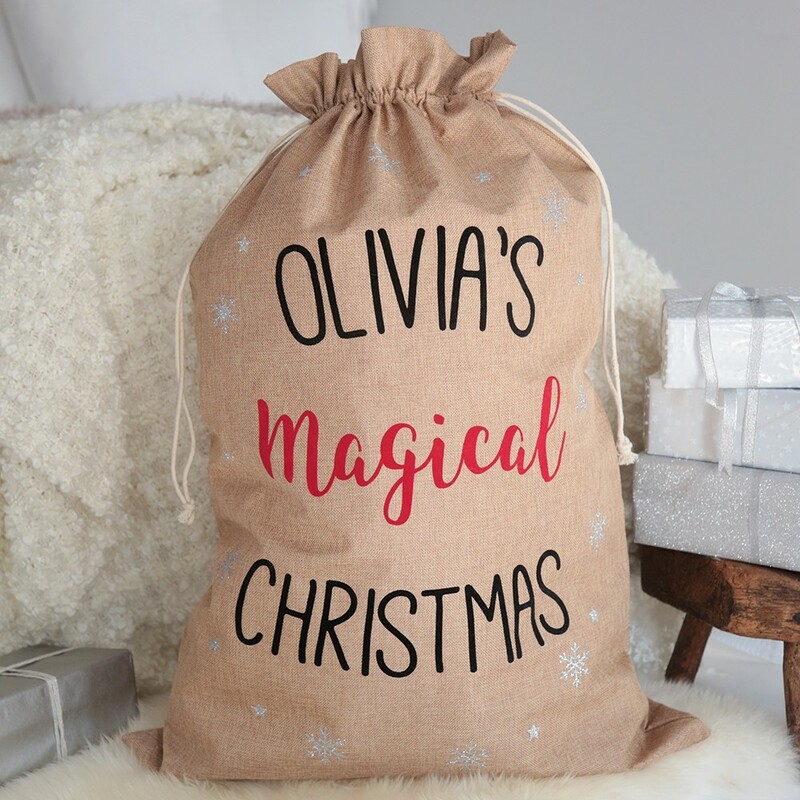 Printed with the words “Magical Christmas” and the option to add your child’s name, this is a Santa-worthy gift sack that looks amazing inside your home. There is no such thing as too much sparkle at Christmas and they have even added some beautiful sparkling snowflakes all around the sack. Made from cotton canvas and featuring a cute penguin design, that’s guaranteed to get little ones in the ice cool Christmas spirit. 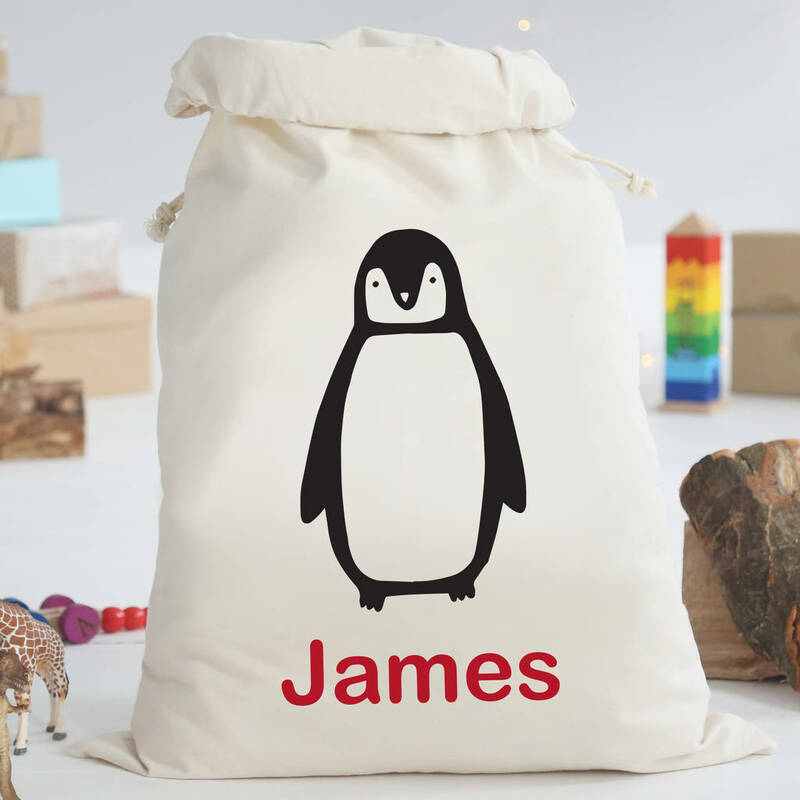 The Christmas sack is big enough to store a generous selection of gifts and can be made even more special by adding the little one’s name – simply enter up to 9 characters and they will personalise for no added cost! 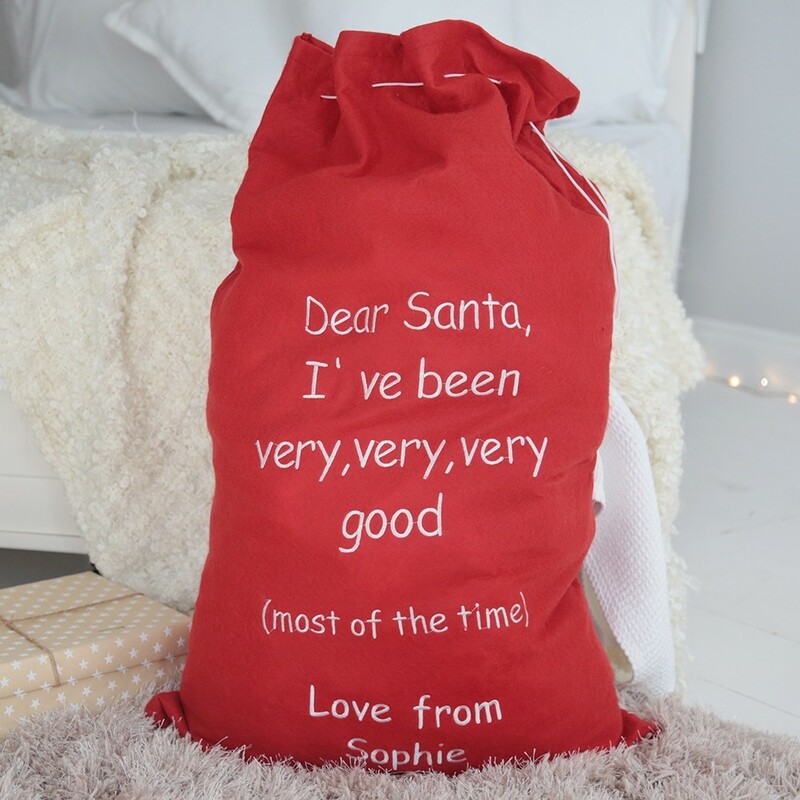 Printed with a cheeky ‘Dear Santa’ message, this is an eye-catching gift sack that’ll leave little ones excited on Christmas morning. Available to buy from www.my1styears.com .